Oh man. Every now and then I get beer recommendations from my friends who also enjoy a good drink. These recommendations often prove to be enjoyable, but seldom lead me to the discovery of a beer I can't live without. This fantastic ale from Unibroue leaves me baffled and delighted. I have no idea how I made it this far into my life as a beer nerd without trying this, but I'm glad I was encouraged to try it. 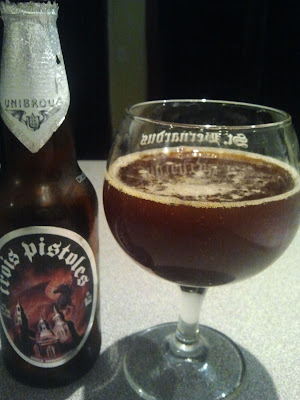 Described as a Belgian-style Strong Ale, this beer is so much more than any name could capture. 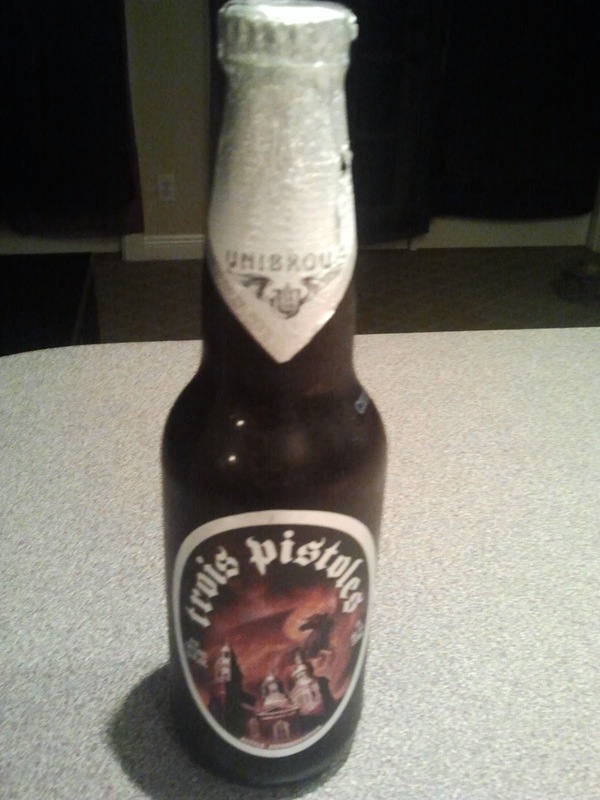 As with all Unibroue beers, the label on the bottle is incredibly detailed and gorgeous, which complements such a drinking experience quite nicely. The beer pours a rich brown with a very thin head that creeps away towards the edges of the glass before dissolving rather quickly. The nose is thick with fruity malts that hint at the rich and enjoyable beer within. Even a mere sip is a brief moment in paradise, as the malty goodness is paired with syrupy sweetness that finishes so smoothly, the beer's high alcohol content (9%) is masked perfectly. The label likens the flavors to a fine port wine and it's totally accurate. There's even a bit of the delicious bite of a nice glass of brandy. Seriously, I'd say this is the perfect dessert beer, but I would never recommend waiting until after a meal to drink such a delicious beer. Start it halfway through the meal and enjoy a sip or two with each course. You'll be glad you did. It doesn't appear this beer is seasonal, so grab a four-pack or single at your next opportunity. Stores in my area sell four for an average of ten dollars, so it's an incredible deal. When you find it, leave me a comment with your thoughts. I'm obsessed with this beer and hope you'll feel the same way I do.